Jonathan DeSoto painting a utility box on the corner of E and Fourth streets in Eureka. Artist Jonathan DeSoto has his headphones on, so don't feel like you have to honk in support. He's under a pop-up tent against the morning mist, painting the first of two utility boxes on E Street in Eureka as part of the Eureka Box Art! 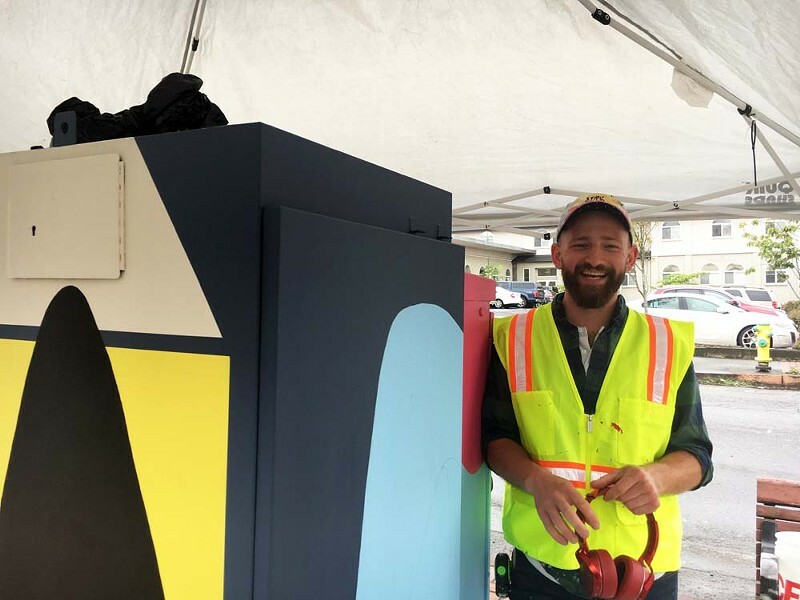 program, beautifying grim utility boxes with public art sponsored by local businesses and organizations. DeSoto steps around the pastel-smeared drop cloths pooled at the base of the half-painted box, the same colors smudged on his jeans. 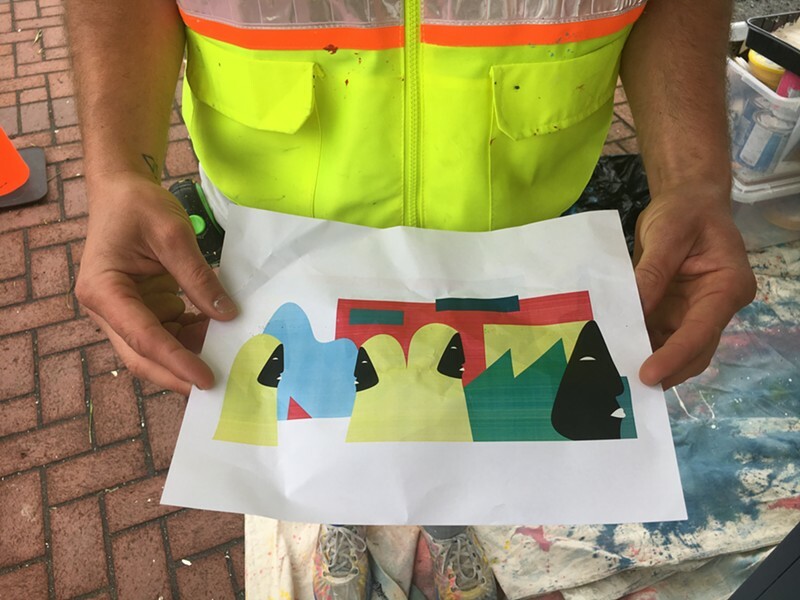 He says he signed up to take on the project because, "One of the best things about art is that it can be a community exchange of ideas," and a painting that will live on the corner, in the middle of town, seems like a perfect fit for that ideal. It's a labor of love for those painting boxes around town, as the $500 stipend includes the cost of materials and the artists' considerable hours. The wraparound design for one of the boxes, to be echoed by the other one. The still untitled image, which will be echoed on the smaller box just a few yards away, will include stylized images from Humboldt County's natural landscape, like mountains and trees. The foreground will feature androgynous figures, women of color in hijabs. DeSoto says the idea is to communicate an openness to all people, especially the most marginalized. These boxes are sponsored by Papa & Barkley Co., which approved DeSoto's design but had little input. But he's realistic about the looming prospect of graffiti — the piece already got a few scratch marks etched into it last night. A final coat of enamel should help protect the painting from all but the truly determined once it's finished at the end of the week.